We wish you a monkey Christmas! 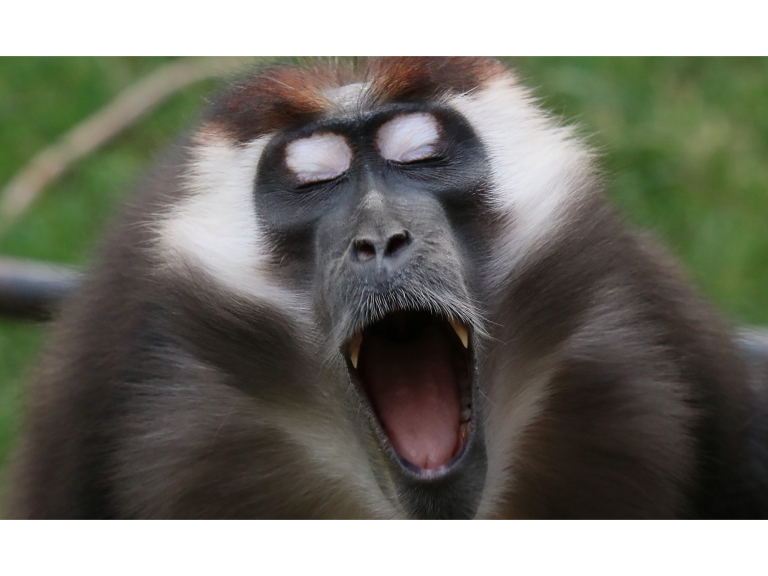 Yengo, a male cherry-crowned mangabey monkey at Paignton Zoo Environmental Park in Devon, has been spotted practicing his carol-singing. This photo, taken by Miriam Haas, a keen photographer and Paignton Zoo regular, shows the 14-year old rehearsing in the run-up to Christmas. The species can be found in the Omo Forest Reserve in Nigeria, where Paignton Zoo supports an environmental education project. The cherry-crowned mangabey is listed as Vulnerable by the International Union for the Conservation of Nature, is on Appendix II of CITES and on Class B of the African Convention on the Conservation of Nature and Natural Resources.